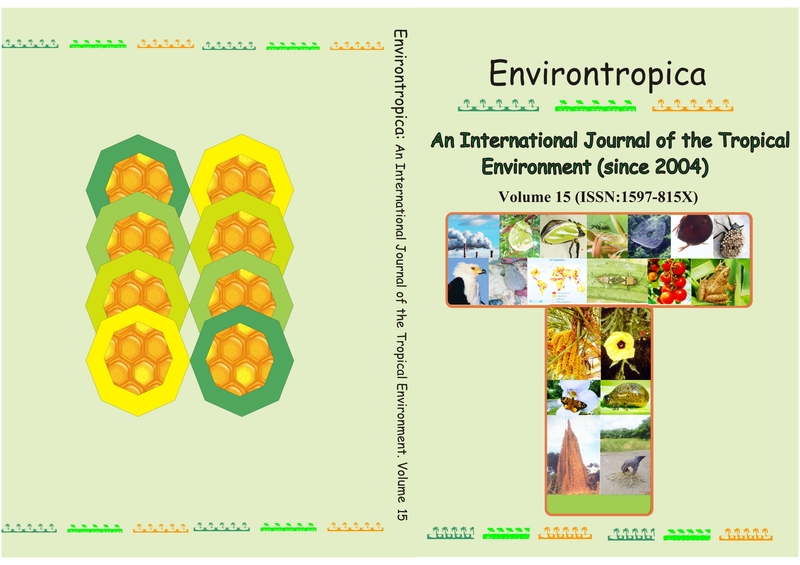 The abundance and distribution of the Monitor lizard, Varanus niloticus was investigated within the University of Lagos. Line transects for visual encounter surveys and the use of traps were used in sampling the study area that was delimited to five sites. The physicochemical parameters of the various sites were also analyzed. There were significant differences in the pH, salinity, dissolved oxygen (DO), biological oxygen demand (BOD) at (p < 0.01, df = 4), while there was no significant difference ( p > 0.05, df = 4) in the temperature. Pearson’s correlation showed that there were significant positive relationships between the salinity (r = 0.971, p = 0.0006) and pH (r = 0.956, p = 0.011) and abundance of V. niloticus. However, there were no significant relationships between abundance and temperature (r = 0.12, p = 0.84), nitrates (r = 0.599, p = 0.286), phosphate (r = 0.287, p = 0.64) and DO (r = 0.525, p = 0.363). There were negative and insignificant relationships between the amount of BOD (r = -0.57, p = 0.316) and lead (r = -0.429, p = 0.47) and the abundance of V. niloticus. The highest number of sighting was at VC’s Lodge [20 (41%)] and the lowest was at DLI [4 (8%)]. There was a significant difference (p < 0.01, df = 4) in the abundance of monitor lizards among the different sites. For the monitor lizards to remain in existence within the University of Lagos, conservation and management measures should be developed to ensure sustainability and the continuous existence of the mangrove and their endemic fauna.